You may have heard the advice of providing management with solutions rather than coming to them with problems you need help with. That is good advice when you are able to find a solution to an issue. However, showing your managers how you work through problems you have not yet found solutions for can benefit you as well. Working out problems outside your scope of work along with upper management is an effective way of standing out in your manager’s eyes when you cannot get to the solution by yourself. Standing out in your superiors’ eyes at work is much more than delivering the best output among all your colleagues. To stand out in your manager’s eyes means to show your manager that you think on the same level as they do. The approach of teaming up with your manager on solving mutual issues is one of the best ways of standing out in their eyes. When you show your bosses that you are capable of thinking on the same level as they do, you will be trusted more in the tasks that are assigned to you. The reason working out problems which are on a superior’s level of work increases your trust is because managers instinctively do not trust their subordinates with bigger issues. 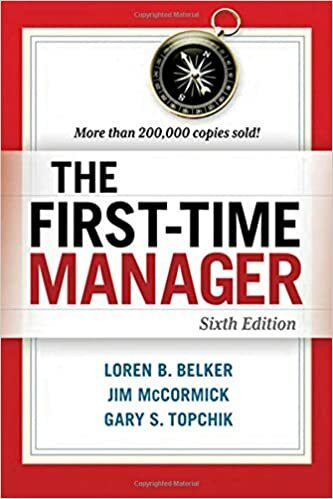 It is a norm for bigger problems to move up the chain to your managers, and most people in your position will give up on the issue at hand once the managers take over. Make sure to take a stab at working through the problems that you deliver to your managers if coming to them with solutions is not an option. Deliver the problem and present what you have done in attempts to solve it. Trace back your steps in hopes of providing a useful point for their expertise to latch onto and build upon. Showing your managers that you understand their way of thinking by providing effective backing and support to working out issues on their level will get you in the circle and open you up to inside information. Treating your managers as your team members, not any better and not any worse, will show them your true nature in an environment of people constantly sucking up to them. You must carry yourself with your team members the same as you do with your managers, the level of this behavior you should determine to your liking. To stand out of the crowd, you must show your superiors that your mind is capable at looking down from their viewpoint at the tasks that are assigned to you. This means that you are able to see where the work that you do fits in with the bigger picture, and how it affects aspects of your organization which you do not have a direct role in. It is a common misconception that working longer hours will get you noticed by your managers. What will get you noticed is showing them how similar you are to them. In order to stand out, you must be a supplementary aid to the work that they do and not cause them difficulties. The next time you present a problem to your managers, present it in a way which clearly shows that you’ve thought about it from a managerial perspective. Even if you do not have a solution to the issues at hand, make it clear that you’re willing to travel down the paths that lead to one.